Government Shutdown Cut Into Economic Growth, CBO Says A report says the shutdown reduced federal spending by $18 billion, although most of that will be recouped now that the government has reopened. A sign at the entrance of the Smithsonian National Museum of Natural History in Washington, D.C., says the museum will reopen Tuesday. The shutdown reduced federal spending by $18 billion, although most of that will be recouped now that the government has reopened, according to a new report. The official report on gross domestic product is released by the Bureau of Economic Analysis and was due out on Wednesday. However, the shutdown has delayed the release of this report, for the fourth quarter of 2018, the agency said Monday. The GDP report is one of the ways economists get a handle on how the economy is doing, and it may come out next week, according to White House economic adviser Larry Kudlow. In the meantime, Congress' watchdog on economic data, the CBO, had estimated that first-quarter growth to be an annualized 2.5 percent. Now, with the shutdown's effects, the agency is estimating growth to be at 2.1 percent. The CBO report does not attempt to quantify the secondary effects of the shutdown on private sector businesses but called them "significant." "For example, some businesses could not obtain federal permits and certifications, and others faced reduced access to loans provided by the federal government. Such factors were probably beginning to lead firms to postpone investment and hiring decisions," the report says. Some of the affected private sector businesses will never recoup the income they lost, CBO said. 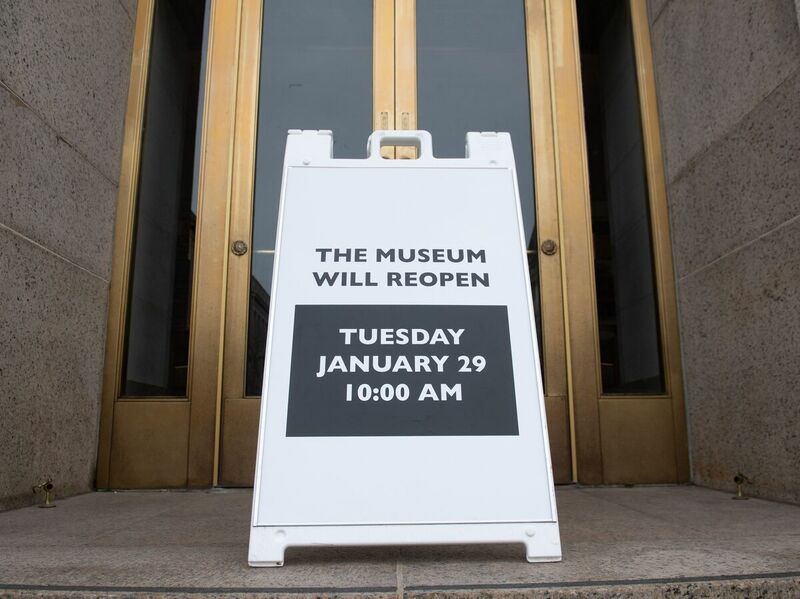 The agency's experts left room for "considerable uncertainty" about the shutdown's economic impact. "In particular, CBO is uncertain about how much discretionary spending was affected by the partial shutdown, how affected federal employees and contractors adjusted their spending in response to delayed compensation, and how agencies will adjust their spending on goods and services now that funding has resumed," it said. However, the Trump administration's Kudlow took issue with the report, insisting that there was "certainly no permanent damage to the economy." "We frequently disagree with CBO, with all respect. They're doing the best job they can. I get that. No, I won't acknowledge any of that right now. In a $20 trillion economy, it's awfully hard to make even the best guesstimates of those kinds of small fractions of numbers. That's what you're looking [at] here. Let's see how it rolls out," said Kudlow, director of the National Economic Council. The CBO report came as federal employees were beginning to return to work following Friday's agreement between President Trump and congressional leaders to reopen the government for three weeks while negotiations continue over border security. Democrats said the CBO report should serve as a warning to Trump not to shut down the government again. "The President's shutdown inflicted needless pain and chaos in the lives of millions of Americans, and stole billions of dollars from the economy. Workers' financial security, families' well-being and America's economic strength all were senselessly sacrificed because of President Trump's callousness," Pelosi said in a statement. "Families across the nation are still trying to recover from a month of missing paychecks and overdue bills, but the President is already threatening a second shutdown if he doesn't get his way," Pelosi added. "The CBO confirms that the Trump shutdown had a debilitating effect on our entire economy, and if it were to resume in three weeks, millions of Americans would again share the pain of the 800,000 workers who spent the past month without a paycheck," said Rep. John Yarmuth, D-Ky., chairman of the House Budget Committee.